One of the things I'm often challenged in is steadiness. My mood or frame of mind can be influenced by lack of sleep or physical issues, stress and feeling overwhelmed, situations that feel edgy or out of control. 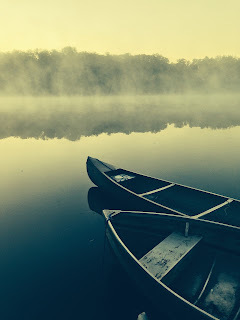 I want to be like what this blog is titled - still waters! Unflappable, spiritually-minded, steady. All the time. It is clearer than ever to me that the battles of life are won or lost in my mind. Discouragement with myself or situations can have a completely deflating effect, robbing me of motivation to do the right thing even when I don't feel like it. While I'm better than I used to be, there's lots of room for improvement. It's one of the great goals of my life (and no doubt God's for me!). There's the secret--letting the Holy Spirit take control. For me, that means really believing that when I ask Him to take care of a situation, He does. God's grace (His supernatural ability) is specifically given for whatever the need, so if I can stay focused on that provision, instead of my issues, I will stay steady. Working on that! How about you? How do you hold yourself steady in the daily struggles of life? Thanks, Jane. :-) Always appreciate your visits! Aw, steadiness. Yes, a struggle with my mind as well. Sleep is sometimes out of our control it seems and it makes the biggest impact on my day. I would have to say that being kind to myself on days I feel "unsteady", along with keeping my mind on things that are worthy helps. Christian radio is also good for my mind, in addition to prayer and Bible reading, of course. I like that thought of keep 'worthy' things before me, occupying my ears and eyes with God's perspective. Thanks!